Choosing the right health plan for you from the plethora of health insurance options available today is not easy. The rise in healthcare costs has made this product an essential buy. You must make an informed decision while selecting your health plan so that that it covers you sufficiently and at the same time doesn’t burn a huge hole in your pocket. It could also provide an aid to your tax saving purpose. The main limit in health insurance is the ‘sum insured’. Any medical expenses incurred over and above the sum insured are not payable. It is advisable to take adequate cover from an early age, particularly because it may not be easy to increase the sum insured after you have made a claim or when you age. Most buyers often struggle to make a decision on whether to buy an ‘individual’ policy for each family member or a ‘family floater policy’. The family floater plan offers flexibility in terms of utilising the overall insurance coverage among the family as a group. If you opt for a family floater cover, the sum insured opted should be sufficiently high considering a situation where more than one person of your family needs hospitalization in the same year. It is important to make sure that nearly all risks are covered when you are paying for a comprehensive cover. Insurance plans should be chosen in terms of premium versus benefit comparison. Benefits such as pre and post hospitalisation, day care procedures, OPD cover, maternity extensions or ambulance service, should be taken into consideration. Many individuals have health related problems that exist before they apply for a health insurance policy or enroll in a new health plan. 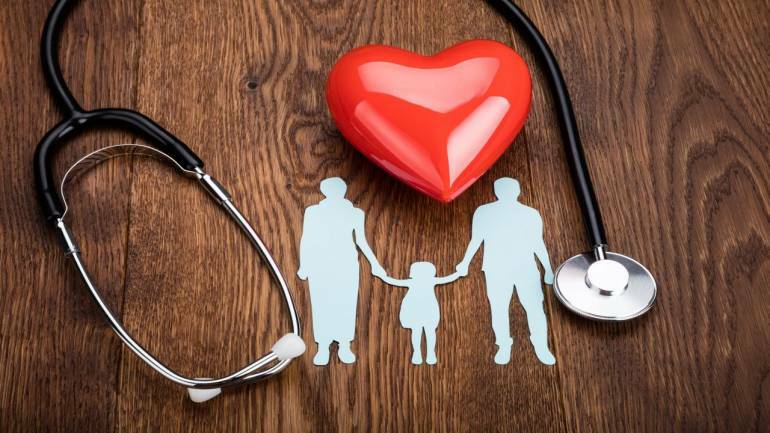 Pre-existing conditions impose a waiting period and apart from the insurance premium you also need to compare the waiting period stipulated in the policies for covering pre-existing ailments. The waiting period varies for each policy and could be different for different conditions. In order to avoid inflated charges that hospitals levy on patients with an insurance cover, some policies have sub-limits on room rents or certain procedures and this becomes the most critical feature when evaluating a health insurance policy. Typically, there are two kinds of limits, one on the hospital room rent and the other on the liability for specific diseases. Usually, the room rent expenses are capped at 1 percent of the sum assured for a day, while ICU charges have a ceiling of 2 percent of the sum assured.Another aspect to check for is co-payment, where the insurer will be asked to pay a predetermined percentage of the claim amount or deductibles. Here, there will be a cut-off cost which you will have to bear and the insurer will come into the picture only when the bill goes beyond this limit. It is advisable to go for plans that come devoid of restrictive options, such as co-payments, limits on room rents and treatment-specific limits. They may cost a little more but evade financial risk during emergencies. With high medical costs across the globe, a health policy can help you stay more relaxed in terms of financial independence during emergencies and also entitle you to tax benefits. On the face of it, all policies may look identical and therefore reading the fine print is vital. It is also of utmost importance to read the exclusions in the policy in order to avoid a bad experience while making a claim. It is always advisable to buy insurance from a reputed insurer, who has had a great record of servicing, claim settlement as well as has a wide range of hospital networks. Last but not the least, you should know that a cheaper policy may not always be the best policy for you. So make a wise decision and get a cover that suits you best.